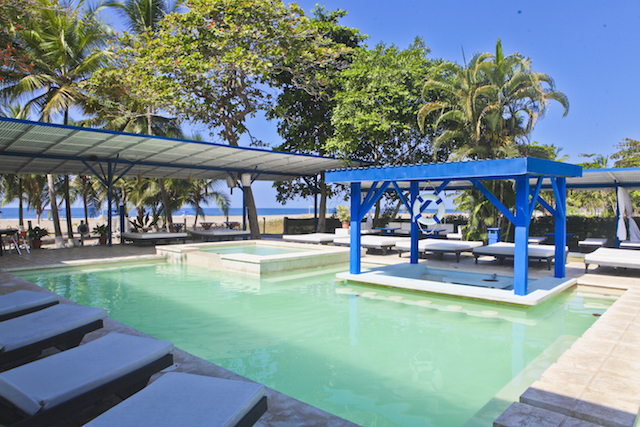 This Costa Rica Beach Club business for sale is a unique concept. The business consists of a bar and restaurant with private parking for 40 cars. 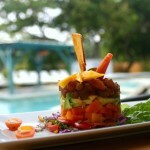 There are two large swimming pools of 200 square meter, one kids pool and a jacuzzi. Also included is a spa for two beds, 48 lockers, showers, change rooms, wet bar, tanning beds and chairs. In addition, there is a VIP area and much more. 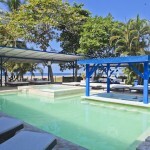 This Costa Rica beach club is located in the city of Jaco which is 75 minutes from San Jose. It encapsulates the ultimate beach club dedicated to creating a unique and luxurious lifestyle experience and is ideal for those looking for that perfect daytime destination to relax and party under the sun. 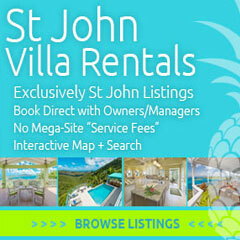 The property has beautiful ocean views by day and the stunning Pacific sunsets at dusk. The business is designed so you can plan your day exactly the way you want to. The pool area is surrounded by luxurious day beds both in and around the pool. 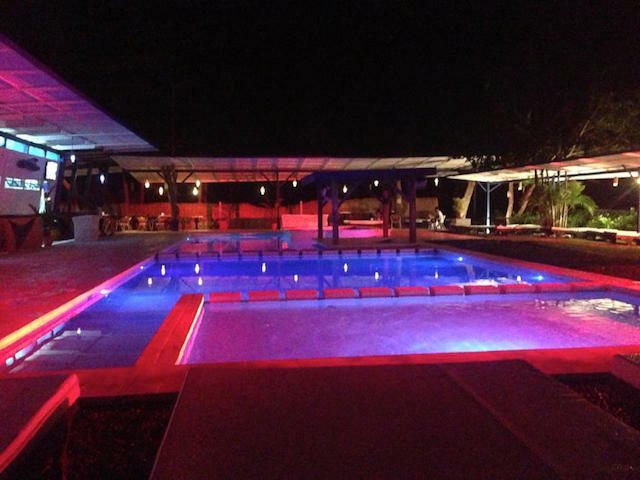 This is the perfect place for socialites who like to spend their days partying with friends while bronzing under the sunshine. Prefer to relax and unwind away from the masses? Escape to your own haven by relaxing in one of the lavish hammocks or sun loungers set within secluded corners of the beautifully landscaped gardens. This bar and club provides the perfect backdrop for lazy lunches or big occasions. 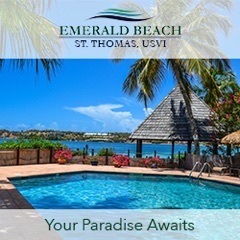 Throughout the day, allow one of the attentive staff members to look after you, whether you are looking for light bites at the comfort of your bed by the pool or perhaps a table on the sunset terrace. 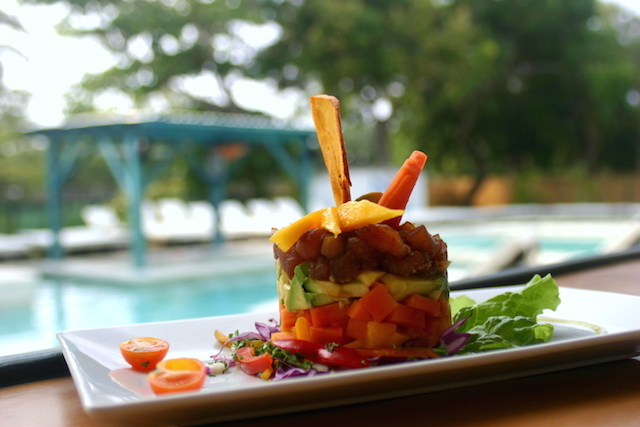 Sample a taste sensation from one of the carefully selected dishes on the menu at the fusion cuisine restaurant situated beside the pool and overlooking the ocean. 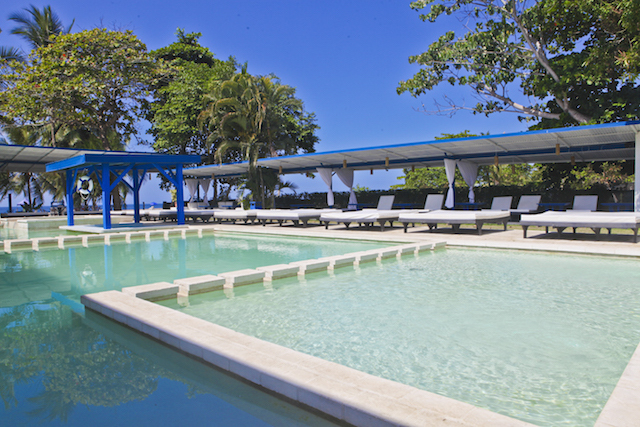 This Costa Rica beach club business for sale benefits from local and foreign visits. The seated capacity is for more than 200 people. The overall capacity is for more than 2000 people. All permits are in place, including a massive events permit from 10 am to midnight every day of the year. To enhance loyalty and client retention the business offers membership packages from $20 to ­$30 per month. There are a total of 476 paying and non paying members. Members benefit from discounts in the spa, affiliated hotels and bottle consumptions. 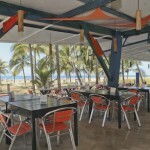 Non members pay a resort fee of $20 and the restaurant has no entrance cost. The club has an extensive customer database of previous clients for marketing purpose. 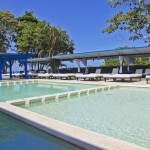 This Costa Rica beach club is well known for its refined and unique parties. 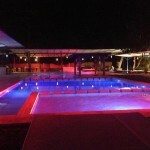 The Wednesday Reggae night and Sunday pool party are the most famous parties in the country. The Spa offers a full range of facial, body, hand and foot treatments. 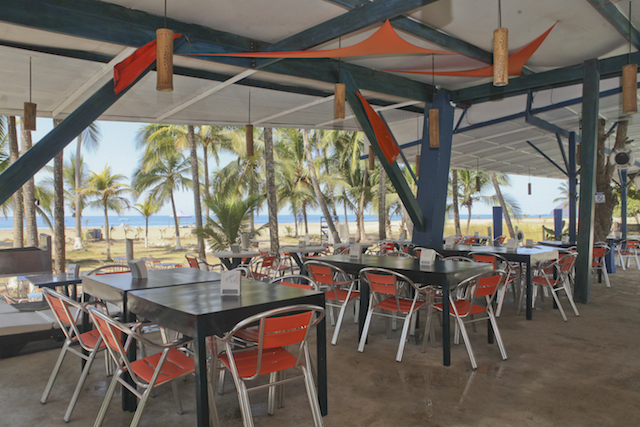 All with the finishing touches you would expect, as well as our unique Beach Experience.